The Brodas Bros take urban dance down to the Metro. Under9 is an artistic project in a metropolitan spirit that links the towns and cities of Barcelona, Badalona, Cornellà de Llobregat and Santa Coloma de Gramenet and which will feature in the closing party in L’Hospitalet de Llobregat. Everything happens on the Metro, in the vestibule, on the platforms and in the carriages, bringing energy, rhythm and humour to people’s journey’s. 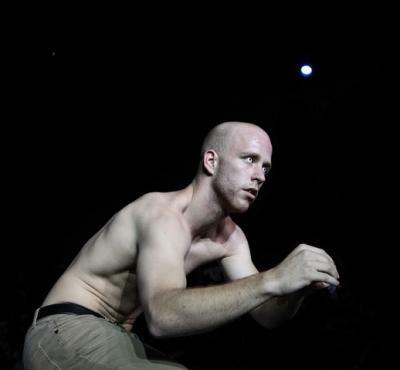 The Brodas Bros don’t travel alone but are accompanied by the percussion of Brincadeira on both legs of their return trip, which always ends at the station they started out from with a performance by one of the companies invited to join Under9—Iron Skulls (breakdance/contemporary), Sacude (vertical dance) and Diego Sinniger (contemporary)—and with a Brincabros session, a highlight resulting from the force of Brincadeira and the technique of Brodas Bros. 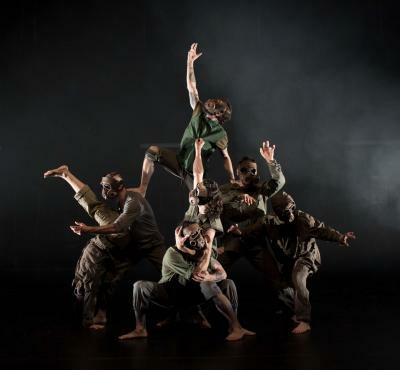 But there’s still more: immediately afterwards, 24 pupils from a school in the city spring into action, dancing a choreographic piece prepared with the Brodas Bros.
And lastly, freestyle singing in a circle, a celebration in the purest style of urban dance! The Brodas Bros company has been performing for over ten years. It consists of a pair of brothers and a pair of sisters, Pol and Lluc Fruitós and Clara and Berta Pons, who have given the Catalan public an understanding of hip-hop, a genuinely urban style, through works that often contain a social element. As well as the Brodas Bros and Brincadeira, who else will you find on each of the Under9 journeys? 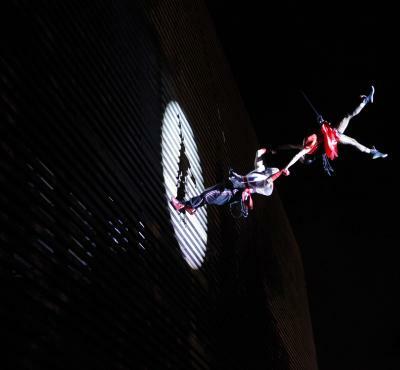 The Iron Skulls dance company will greet you at Badalona - Pompeu Fabra Station (1 March), Cornellà Centre – Esplugues (L5, 2 March) and at Zona Universitària (L9S, 16 March), where they will be putting on Sinestèsia, a 15-minute-long sample of the best in urban dance. 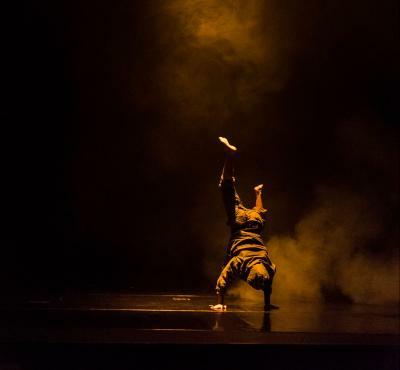 Hip-hop, acrobatics and contemporary dance will combine to tell a post-apocalyptic story in which the audience is invited to participate in a play of sensorial signal jamming. 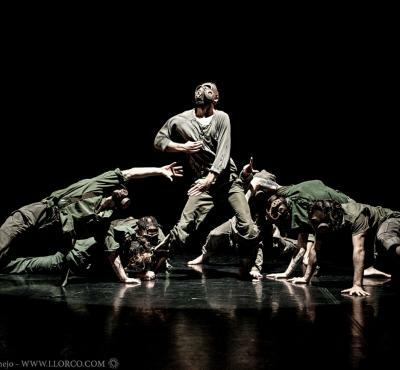 Diego Sinniger, a dancer who explores the fusion of contemporary dance and hip-hop, will be at Collblanc (L9S, 16 March) with another high-voltage show lasting a brief but intense ten minutes. 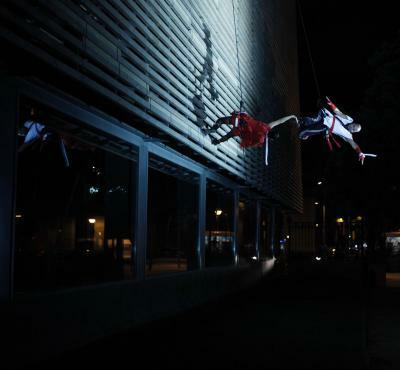 Sacude, a company that brings together outdoor theatre, dance, video, circus, music and poetry, will be putting on an amazing vertical dance show, Tugiro, at the Església Major (L9N, 3 March) and on L9S on 16 March. High-flying emotion!